TADULAKO University (Untad) is the host of Harmoni Indonesia. 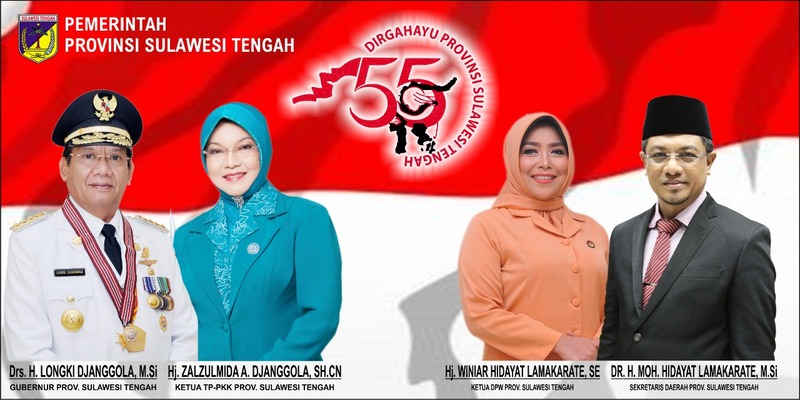 It represents the Province of Central Sulawesi which is given the mandate for the host. Harmoni Indonesia activities are simultaneously carried out throughout Indonesia. There are three public universities which are given trust as organizers in the provinces that have been appointed. Then Untad also became one of the public universities chosen from the three other public universities. 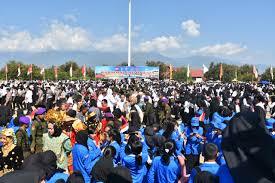 ‘’For Central Sulawesi, Untad is given the mandate to host the implementation of Indonesian harmony. And thank God to the togetherness of all of us present, it has been done well, "said the Rector of Untad, Prof. Dr. Ir Muhammad Basir, during a speech at the Harmoni Indonesia event (08/08/2018). He continued that this is the expression of happiness and gratitude. So, at the same time I thank all those who have enlivened the course of this harmony activities in order to welcome the coming of the 73rd anniversary of the independence day of the Republic of Indonesia and also to welcome the Asian Games that will take place in Jakarta.